A trawler laden with troops passing the pre-Dreadnought battleship HMS Implacable (launched 1891). 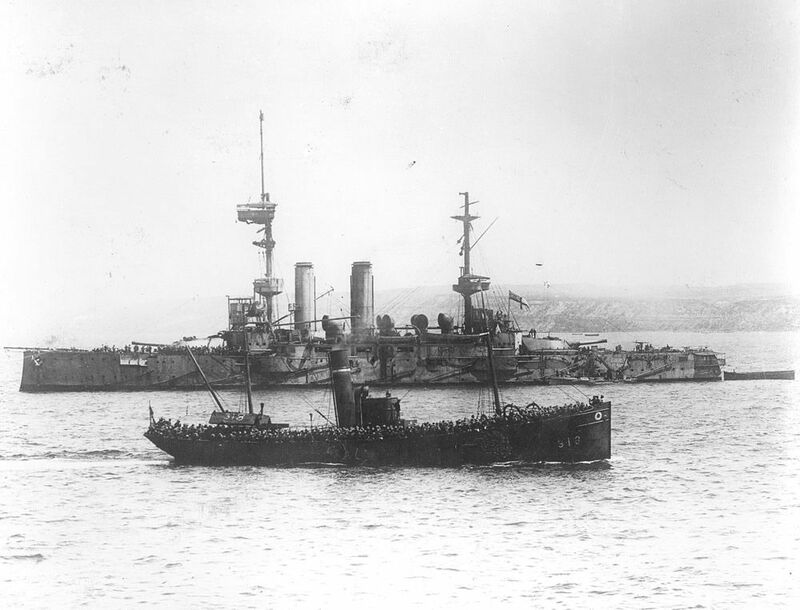 Pictured off 'X' beach at the south west end of the southern tip of the Gallipoli peninsula, 25th April 1915. Three battalions landed from Implacable without a casualty. This Trawler of troops at the Bombardment of Gallipoli Art Print is created using state of the art, industry leading Digital printers. The result - a stunning reproduction at an affordable price.